John T. Cumberlidge was born on February 15, 1930 in Staffordshire, England to George and Lilly Cumberlidge. He was the loving brother of Brenda. John was educated at Wolstanton Grammar School. Dr. Cumberlidge was a celebrated geologist. He obtained his BS from Nottingham University in England in 1952 and then moved to Canada where he completed is Masters and PhD at McGill University in Montreal in 1959. Throughout his college years he worked for Anglo American Corp. in South Africa and then British Newfoundland Exploration Co in Labrador and Newfoundland. Upon receiving his doctorate he began his long career with the Hanna Mining Company in Cleveland, OH. 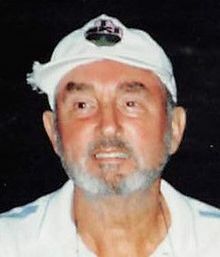 John began working for the company in Canada, Michigan and Oregon before moving to Cleveland in 1964 where he continued to work for Hanna into the 1980's. Among his many positions within the company he was the Vice President and Director of Costal Mining Company and Australian Hanna Ltd., Vice President of Hickory Creek Oil Company and Vice President of Hanna Petroleum Company. John's love of the earth took him to many parts of it and even into his 80's he was traveling to Brazil and Mexico to meet with top geologists from around the world. He has been instrumental in finding a diamond pipe in South Africa as well as silver deposits in Nevada and uranium in Labrador. He was a gentle soul who had a great mind and amazing intellect. He would write diligently about his chosen field and the natural wonders of this earth. To John, documenting the natural features of this planet and it's history was his primary goal later in life. John was kind and tolerant to a fault. He was knowledgeable and respected in his chosen field. He was humble in his daily living and willing to share his knowledge with others. When John left England in the mid 1950's his beloved Margaret Radcliffe followed him and they were later married. They finally settled in Rocky River, OH in 1966 and raised their daughter Ann. The two of them retired to Naples, FL but later moved back to Avon Lake, OH to be near their daughter, son-in-law and grandson. John and Margaret taught themselves to sail and went on many long adventures together. He loved to fly fish and play tennis. He did his own investing in the stock market. He was the kind of guy who would build anything he could. Being well rounded he also loved ballroom dancing and gardening. The outdoors were his temple and loved nothing more than enjoying all nature placed before him. He was generous to agencies such as the World Wildlife Foundation, Smile Train, Doctor's without Boarders and the Nature Conservancy. Later in life when he found out he had Alzheimer's disease he began writing a book about the natural world so that he could continue to share his knowledge. His family would appreciate memorial donations be made to the Alzheimer's Association in his name. He is survived by his loving daughter Ann (Steven) Schmotzer; cherished grandson Christopher Schmotzer; and dear sister Brenda Rutter. He is preceded in death by his parents George and Lilly (nee Lamb) Cumberlidge; and his beloved wife, Margaret Ann (nee Radcliffe) of over 50 years.